Notes: The three mile long Alnmouth to Alnwick branch railway was authorised by Act of Parliament granted to the Newcastle & Berwick Railway on 31st July, 1845. Eastern Railway eventually agreed to build a new station closer to the town centre which opened on 5th September, 1887; a branch line from Alnwick to Cornhill was opened on the same day. The Alnwick branch was well used with 60 trains a day using the station by the end of the century but by the 1920's passenger numbers began to decline with the increase in car ownership. The Cornhill branch was worst hit and the passenger service was withdrawn in September 1930. 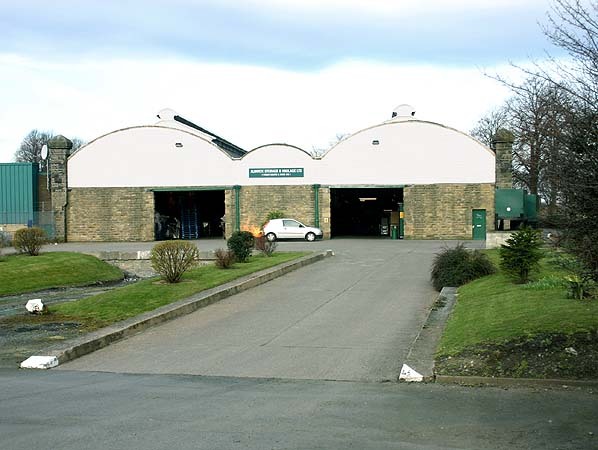 The Alnwick branch remained open although the service was reduced to 14 trains a day. By the mid 1960's passenger traffic was still in decline and in an attempt to save money the line was reduced to single track but the end was inevitable. 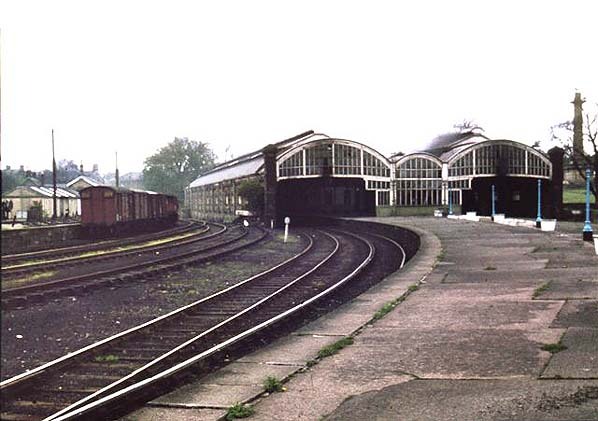 Despite considerable local opposition the passenger service was withdrawn from 29th January 1968 with the goods service finishing the following October. happen and a number of businesses now use the old station building including Barter Books, one of the largest second hand book shops in the country. In 1995 The Aln Valley Railway Society was formed to campaign for the restoration of the train service between Alnmouth and Alnwick. 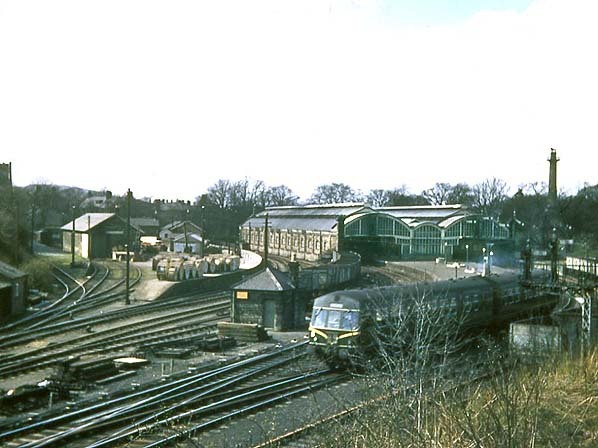 Alnwick station was lavishly rebuilt and to avoid the Duke of Northumberland's estate north of Alnwick The line initially headed south with the expensive diversion requiring a tunnel and a viaduct at Edlingham. The line suffered serious storm damage between Ilderton and Wooler in August 1948 with further storm damage the following year when as bridge north of Ilderton station was washed away. 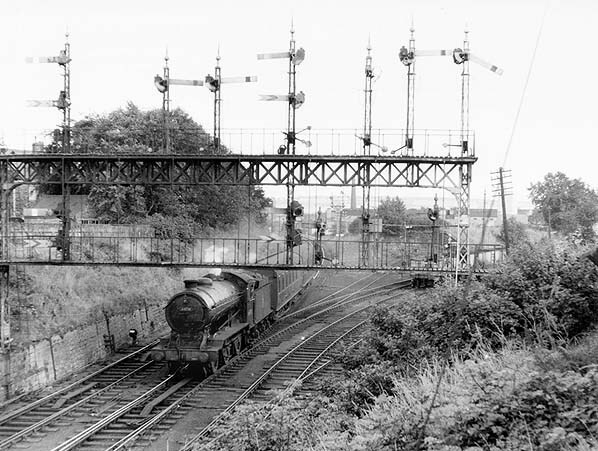 With such meagre traffic on the branch the newly formed British Railways could not justify the cost of replacing the bridge; instead the line became two lines; one from Alnwick to Ilderton, and the other from Coldstream to Wooler bur the service was infrequent, sometimes only one train a week.